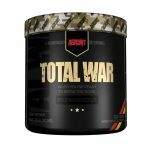 RedCon1 'Total War' Pre-Workout - $19.99EA! Buy one Total War Pre Workout & get one free. Total War is one of the hottest pre-workouts around and a fan favorite. This is the best total price we saw by $34. Click the CART (View Cart) and apply Coupon code ‘DPS10’ in the coupon section. For example, the price for 3 bags of the popular PreSeries pre-workout drops to $31 per bag (vs $49) after stack savings and the coupon. Watch our full hands-on review of the PRESERIES Bulk & PRESERIES STIM FREE and Transparent Labs Whey Protein on our YouTube Channel. Watch our full hands-on review of the PRESERIES Bulk & PRESERIES STIM FREE on our YouTube Channel. 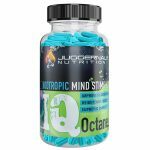 Juggernaut Nutrition Coupons Extra 20% OFF!